In May 2014, Milanko Andrejić was sentenced to three months of imprisonment, as he had failed to report that he had more than 200,000 EUR in cash kept in a bank safety deposit box. At that time, he was a member of the Town Council in Pančevo. Later, the Higher Court allowed the sentence to be changed into house arrest combined with an ankle monitor. Every official is obliged to supply the Anti-Corruption Agency with reports on his or her property status. Should an official conceal true data or provide bogus data on property, they may be punished with imprisonment lasting from six months to five years. A guilty verdict for this criminal offence also implies dismissal from job and prohibition of employment in a public institution for 10 years. Andrejić is the first and so far the only official in Serbia who has been sentenced to house arrest based on these grounds. Since the beginning of 2010, after property control, the Agency has filed 62 criminal charges against officials – 38 cases have been concluded, while 24 cases are pending. In one of the cases, except for the failure to report property, the Agency also found the grounds in abuse of office (the charges were dismissed), while in two cases it believed it was only about abuse of office (one case in pending, while in the other case the criminal charges were dismissed). 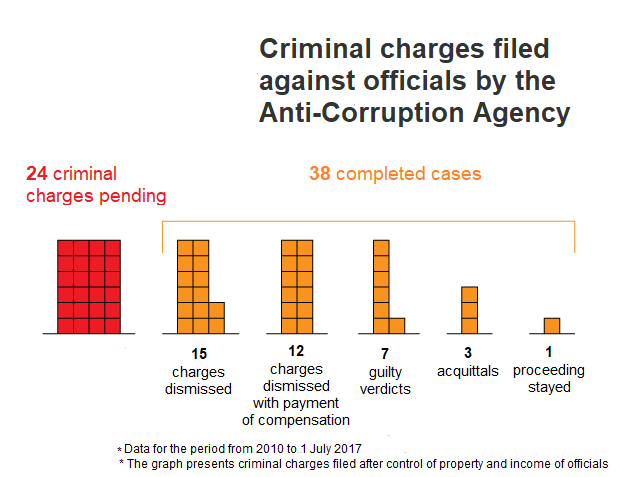 The majority of criminal charges were composed against managers of state companies and institutions, followed by members of Parliament, while charges were also filed against ministers, mayors, and other officials. Research of the Center for Investigative Journalism of Serbia (CINS) indicates that charges were dismissed in as many as 27 out of 38 completed cases. As many as seven officials have been sentenced, while three officials have been acquitted of charges. Out of seven guilty verdicts, all but the one of Andrejić pronounced probation. In one case, the proceedings were suspended. 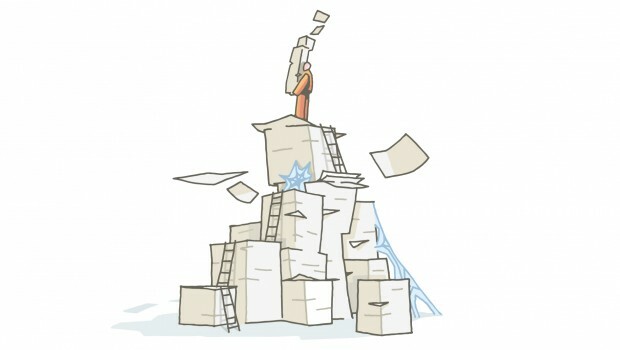 CINS journalists investigated the results of the filed criminal charges for six months, which included filing of dozens of requests for access to information on how the cases were resolved to all competent prosecutors’ offices and courts. According to the documents obtained, the Agency has been filing criminal charges against the officials who had not reported their assets or who omitted a part thereof, as well as against those who had been ignoring instructions of the Agency for months and whose reports were delayed. Sources from the Agency did not want to discuss the success of these criminal charges with CINS journalists, as the position of the Agency is not to comment the decisions passed. In a written reply, they stated that charges are filed once the data is collected and analyzed, while the prosecutors’ office, which has much broader competences, conducts the investigation. The decisions of prosecutors’ offices indicate that the fact that an official failed to report all assets does not necessarily mean that he or she had the intention to conceal such assets, which is why prosecutors had no ground for criminal prosecution. In one case, the prosecution believed that the delay in supplying the report on assets should be qualified as misdemeanor rather than criminal offence, which is why the charges were dismissed. Officials did not suffer any consequences in the case of 15 out of 27 dismissed criminal charges filed by the Agency. Prosecutors’ offices stated that the absence of evidence which would clearly indicate to the intention of concealing assets existed or whether a criminal act was committed at all was the main reason for dismissing the charges. Among others, prosecutors’ offices dismissed, on the same grounds, criminal charges against high-profile politicians, such as Čedomir Jovanović, Member of Parliament and president of the Liberal-Democratic Party. According to the wording from the charges, Jovanović failed to report that in the course of 2010 he had received more than 1.7 million dinars from company "Radna grupa", in which he had a stake. He also failed to report the income of 50,000 EUR, the fact that he had more than 14.6 million dinars on his account, and his wife’s income. Former Member of Parliament Dragan Tomić, state secretary Predrag Peruničić, and former member of Niš Town Council, Snežana Paralidis, were acquitted of charges upon trial held after the criminal charges of the Agency. The case against Snežana Paralidis reached the Republic Public Prosecutor’s Office, as the Basic Prosecutor’s Office in Niš had filed a motion for protection of legality. Following two acquittals of the Basic Court and two appeals of the Prosecutor’s Office, the case was ended in July 2016 with final acquittal of the charges. The Republic Prosecutor’s Office agreed with this verdict. “In roughest terms, this is simply a misunderstanding. The same relates to my lack of computer skills. because, unfortunately, I was born in 1959 and can only use the computer to read and send e-mail, go to social networks, etc… and am an average housewife”, says Paralidis for CINS. According to her statement, the legal service had not informed her about all responsibilities, nor did it help send the report: “Then when I was charged, I realized that the matter got serious so I started treating the matter more seriously. That is the whole story about my guilt”. Mirjana Momčilović, Prosecutor of the Basic court in Niš, who was in charge of case against Paralidis, says that it is difficult to prove that an official hides his or her property intentionally, but that lack of familiarity with laws may not be an excuse and the reason for acquitting a person of criminal responsibility. Soon after the charges were filed, Jovanović submitted the report on assets to the Agency, and sent a statement to the Prosecutor’s Office stating that he had had no intention of hiding it. He added that he had authorized his lawyer to send the report, but that he did not have any evidence that the lawyer had done so. In 2011, the first Basic Prosecutor’s office in Belgrade dismissed the criminal charges with a justification that this was not about intentional concealment of assets, and that this does not constitute a criminal act. In the course of the hearings, the officials stated numerous reasons why they had failed to report their assets: that they had sent data to other institutions, such as the Tax Administration, that they had transferred the obligation to report to their lawyers or associates which resulted in problems, that their parents had not informed them about official letters sent to their given addresses, while some also admitted they were not sufficiently familiar with law. “Public officials whose terms of reference do not include this are poorly familiar with laws and do not read them - and then they interpret them in an entirely wrong manner”, says Radovan Lazić from the Association of Public Prosecutors of Serbia. Lazić explains that issues also arise because people in Serbia are generally not inclined to report their assets, while officials’ reports are frequently filled in by persons from their offices. He adds that a possible reason for failure to report assets might be that some people simply do not want their assets to be known so as not to attract attention and jeopardize their safety. Duško Korać, former member of the Municipal Council in Stara Pazova, left this function in the end of December 2013; however, he did not send a report on assets and income within the period of 30 days. The Agency launched proceedings against him in March 2014, and informed him to that extent. Following this, the decision of the Agency, together with the order to file the report, was delivered to his home address twice. In March 2015, after the police received confirmation that Korać resided at the given address, the Agency filed criminal charges against him. In November 2015, the Basic Public Prosecutor’s Office in Stara Pazova held a hearing at which Korać admitted he had received the decision from the Agency twice. He said that he had filled in the electronic form at the web-site of this institution because he was “thus told”, and that he thought he would not have to file anything else. At the second hearing, in the end of May 2016, Korać said that he was a football coach and that he travelled a lot, which is why he did not receive any note from the Agency himself, but that his parents had received them instead, which was confirmed by the Prosecutor’s office. However, at the following hearing, he said that “they did not inform him that they had received anything”. In mid-August 2016, the Prosecutor’s Office passed the decision to dismiss these criminal charges, stating in the justification that, based on the statements from the Tax Administration and Real Estate Cadastre, it established that Korać had had nothing new to report to the Agency, as he became owner of 1/5 of his parents’ house only in 2015. The Prosecutor’s office did not tackle the fact that Korać was obliged to submit the report to the Agency regardless of any changes in his property. Application of the principle of deferred prosecution, i.e. opportunity, by which the charges against an official are dismissed, while payment of a certain sum of money, for example for humanitarian purposes, is ordered, presented the grounds for resolution of 12 out of 27 dismissed criminal charges. The amounts paid on these ground ranged between 30 and 300 thousand dinars, frequently being lower than the monthly salary of the official. Radovan Lazić from the Association of Prosecutors says that there is a general recommendation that opportunity should be implemented as much as possible, thus in such cases as well, because failure to report assets is one of the least serious criminal offences. He adds that implementation of opportunity relieves courts of burden, while costs in such cases are lower as well, both for the accused and the state. In an official letter filed to CINS, the Anti-Corruption Agency stated that implementation of the principle of opportunity should be excluded, or possible only in exceptional cases, as this is the criminal offence of corruption. The Agency discovered that Rajko Perić, Jubmes bank executive board member, had been receiving significant income since 2013, and had been a member of executive or supervisory boards of three companies, which he did not report, as well as the fee he had been receiving from Belgrade Business School. In July 2016, as he had failed to report his assets for three years, the Agency filed criminal charges against Perić. Perić says that he had no intention of concealing his assets, and that he trusted the legal service of the bank the employees of which explained to his that this was not budgetary income, and that thus there was no need to report it. “It neither cost me anything nor was there any obstacle why I should not enter my personal income in the box and send it. At the end of the day, it is only another lesson learned ". The Basic Public Prosecutor’s office in Novi Sad decided to implement the measure of deferred prosecution, while the charges were dismissed after Perić made a payment of 150,000 dinars in humanitarian purposes. At that moment, his monthly salary at the bank amounted to about 370,000 dinars. The opportunity measure was also pronounced to Dušan Bajatović, General Manager of Srbijagas, after the Agency had filed criminal charges stating that the data from his report did not reflect the real situation. 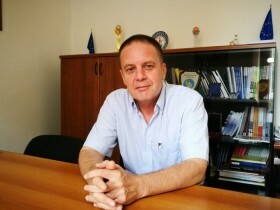 Before the Basic Public Prosecutor’s office in Novi Sad, Bajatović, who was performing several public functions at the time and who had monthly income exceeding 2.3 million dinars, said that he was willing to pay 200,000 dinars for humanitarian purposes if charges against him were dismissed, which is what happened. Unlike Bajatović and Perić, Miljana Golubović, teacher of philosophy and sociology from Bor, suffered more severe consequences for the household budget. Criminal charges against her were filed in 2015, because she failed report, in due time, that her income was diminished once her function of the member of the Municipal Council in Bor, for which she had been receiving remuneration of 12,000 dinars a month, was terminated. Golubović says that she made a mistake by not reporting the changes to the Agency herself; she though it would be sufficient if the Municipality did it. At the moment of the proceedings, Golubović had monthly income of 45,000 dinars and three children, one of which was underage. Unlike the officials whose monthly income was much higher than the amount they were to pay, Golubović paid the fine at of 40,000 dinars, which is almost the full amount of her monthly salary. “All this is not worth it, this amount of fine. All the effort I was investing in the Council is lost, and I was fully embarrassed on top of it. I believe it is a drastic punishment in comparison to my income”, says Golubović. Most guilty verdicts against officials were ended in suspended sentences; this means that the official will go to prison if he or she commits a criminal offence within a certain period of time. As many as six officials were sentenced to imprisonment lasting from three up to eight months, i.e. suspended sentence of one to two years, after the Agency had filed criminal charges against them. In most cases, courts opted for suspended sentences taking alleviating circumstances into consideration such as whether the official is married, whether he or she has underage children, etc. Radovan Lazić from the Association of prosecutors of Serbia says that there is a negative public perception of suspended sentence, as it is perceived as pardon, which it is not, as it is aimed at prevention rather than repression. Žika Stojanović, former principal of the High Business School of Vocational Studies from Leskovac was pronounced a suspended sentence, and would have been sent to prison for eight months if he had committed another criminal offence within one year. He had failed to report the money he had been receiving from the school based on copyrights, as well as the car he had bought. In the course of conducting defense, Stojanović said that he was not a classical public servant, but was a teacher and school principal at the time. He also said that as many as 90% of high school principals fail to submit reports, and that if he wanted to hide something, he would have made a transfer to his adult child, which he had certainly not done; the school was duly submitting the tax reports instead. The Basic Court in Leskovac did not accept Stojanović’s defense and took into consideration the fact that he had failed to report his assets on several occasions, “which points to certain determination to perpetrate the offence”. Having in mind that he is a mature, family person who was never convicted before, he received a suspended sentence. The verdict was later confirmed by the Higher Court in Leskovac. 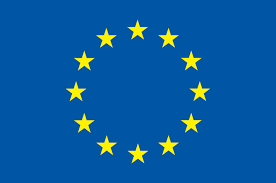 This text was produced within the grant financed by the European Union allocated within the Media programme 2014. CINS is fully responsible for the content of the text, which in no manner reflects any positions of the European Union. Sjajan tekst, samo treba neke stvari uprostiti da razume prosecan citalac.